Using your Google-enabled email account, connect your existing Select Account with you existing Google account. Your Select account must use the same Primary Email as the Google Account you want to connect. 4. 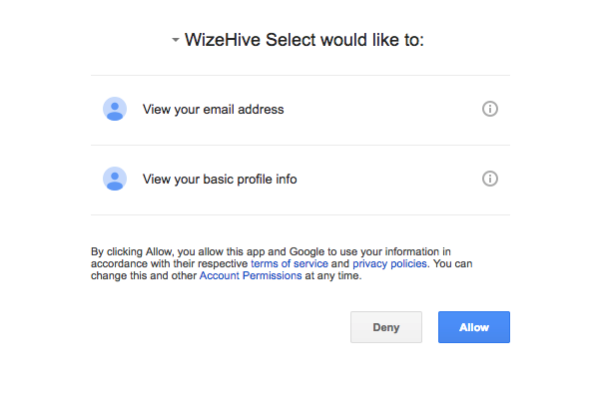 Select "Allow" when prompted to allow WizeHive Select to make the connection. 5. 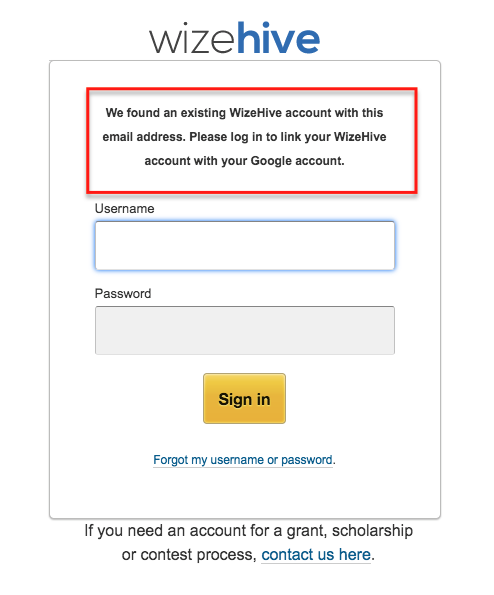 If your account is found, you will see the message "We found an existing WizeHive account with this email address. 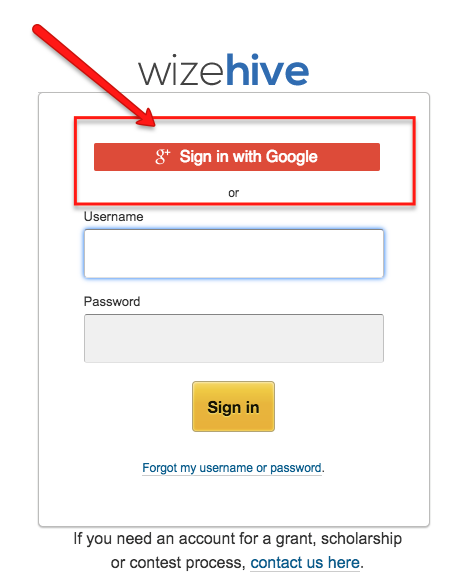 Please log in to link your WizeHive account with your Google account." with a prompt to enter your username and password. Enter your credentials for your Select account here. 6. If entered correctly, you will be automatically logged into the system and your google account is now successfully linked*.